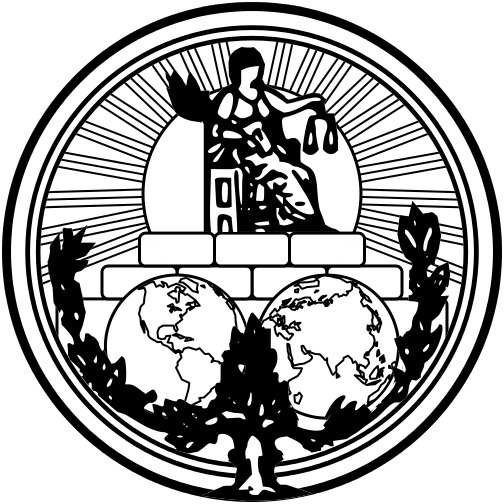 The International Court of Justice (ICJ) has come to a decision about a dispute that has been going on between Peru and Chile for some years now. The two countries disagreed about where their water boundary should be in the Pacific Ocean. In 2008, Peru filed a case with the ICJ to help resolve the issue. The ICJ’s verdict is a compromise for both countries. 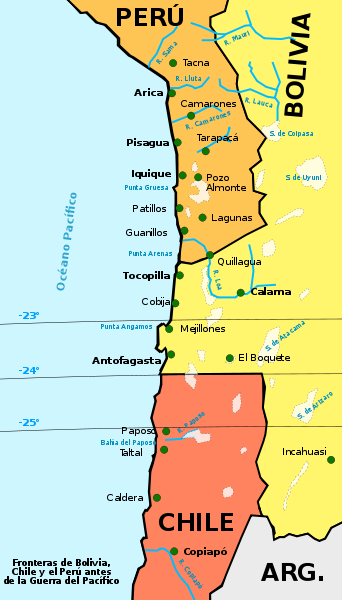 Chile and Peru are two neighboring countries that lie on the western side of South America. Both countries border the Pacific Ocean, and both were colonies of Spain. Chile got its independence in 1818 and Peru in 1821. Interestingly, they were not neighbors at that time. They were separated by a territory that became part of the country Bolivia (image). In 1879, Chile had a war against Peru and Bolivia. By the time the war ended (1883), both Peru and Bolivia lost parts of their land to Chile. 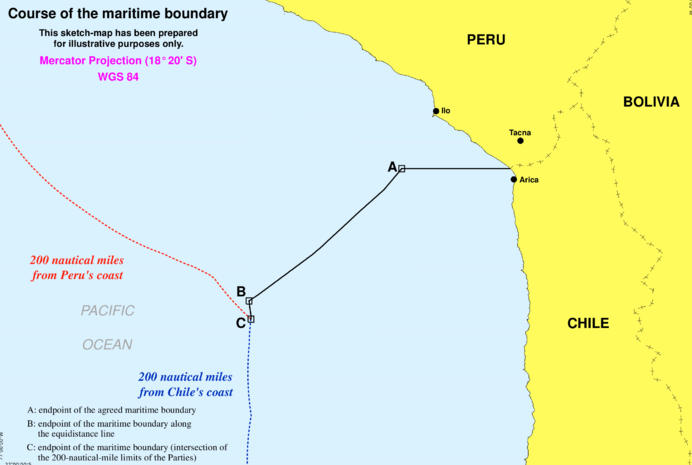 Bolivia lost its land that came between Peru and Chile, making Chile and Peru neighbors. The land boundaries were re-arranged, but there was disagreement about the water boundaries. According to the current international law defined by the United Nations Convention on Law of the Sea, countries are limited to a 200 mile (320 km) zone around their coasts. The areas claimed by Chile and Peru were overlapping, as shown in the image, and that caused the conflict. Why would two countries fight over owning water? The main reason is rather fishy! The waters are rich with fish, and more fish means more money for the country. The image shows the new water boundary as decided by the ICJ. Spanish is the official language of both countries. Peru’s capital is Lima, and Chile’s is Santiago. Chile is home to one of the driest regions in the world, the Atacama Desert. Peru is home to part of the Amazon rainforest, our planet’s largest rainforest. Here is a video about Peru’s rainforest.